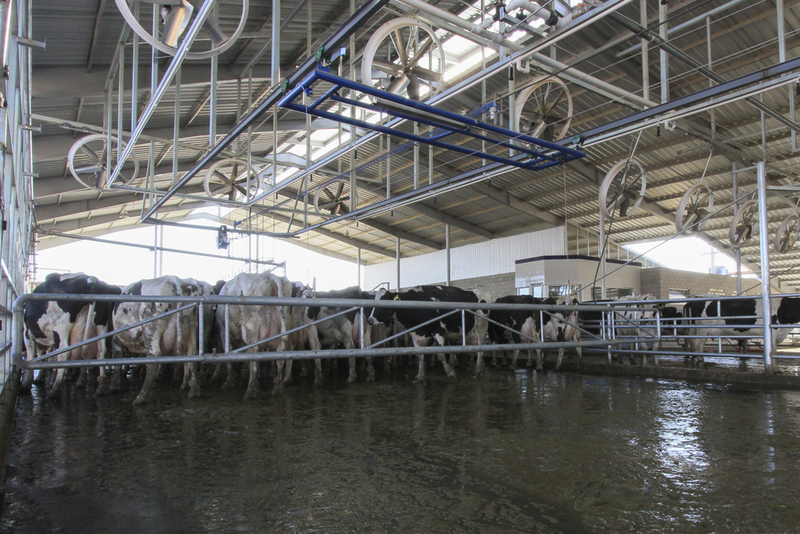 The Madero SmartGate is ideal for large commercial dairy farms. Designed to be a long lasting system made of heavy-duty components with low maintenance required. Its cow friendly and light weight design assures the herd will not be harmed in any way. The Madero Smart Gate is a fully automated lightweight crowd gate system that moves towards the parlor according to the cow’s throughput and rotary’s speed. 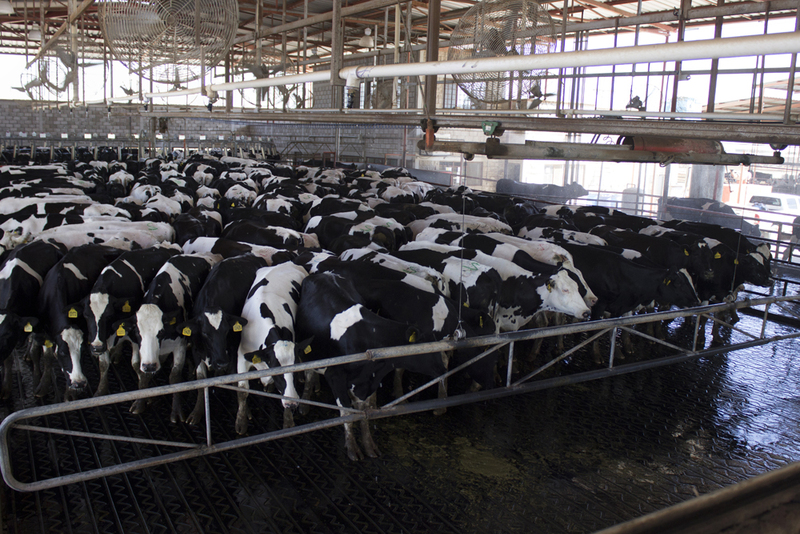 Once that one pen has been herded, the system will only require the press of a button to move it back to its original position, getting it ready to herd the next one. Its high quality components make it a real heavy duty system, ideal for large commercial dairy farms. Its back and forth function is realized by gear motors and its galvanized steel lifting gate is operated by a low air consumption pneumatic system, making the SmartGate the best tool to provide a smooth, silent and stress free milking environment. The Madero SmartGate is a very flexible system that can be adapted to cover large areas in the holding pens. 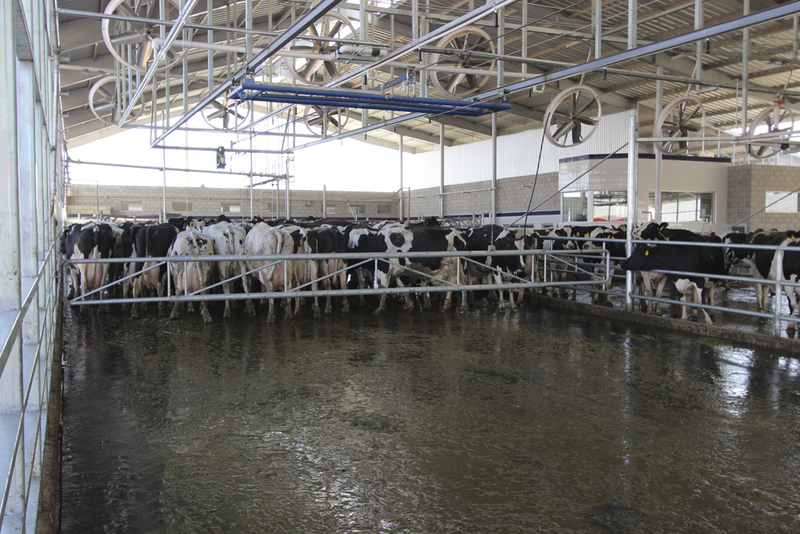 It is a system that helps to improve the cows throughput and labor efficiency. 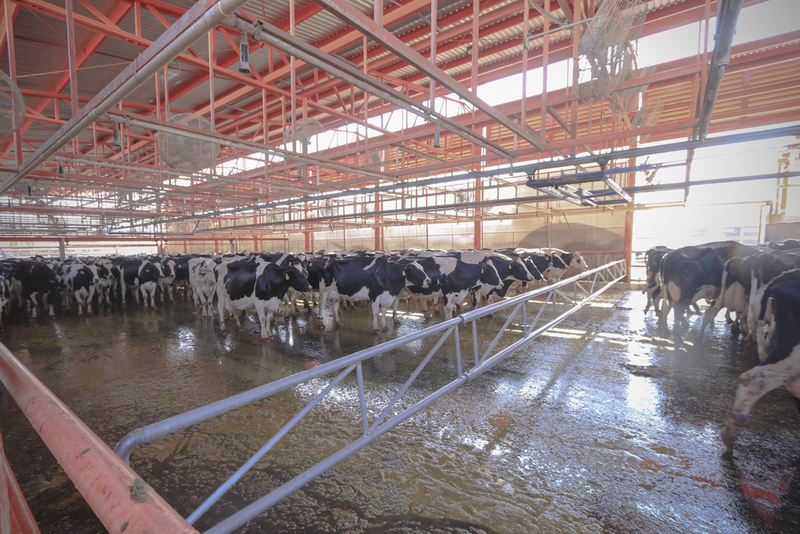 An Audible alarm is activated when the SmartGate moves forward, making an association between sound and movement, which will help to train the cows to walk towards the milking parlor.